Although many people think of spider and varicose vein treatment as simply cosmetic, dealing with veins can be a medical issue. And when it comes to your health, you want the best care. Peoria Vein Center is comprised of board certified surgeons who know all about your veins … not just on a superficial level. These surgeons care for patients every day and work with veins in a wide range of procedures, from the basic treatment of spider veins all the way to more serious surgeries such as complex abdominal aorta repair. They know veins inside and out – literally. When it comes to your veins, you WANT a vein specialist. You DESERVE a vein specialist. We ARE vein specialists. 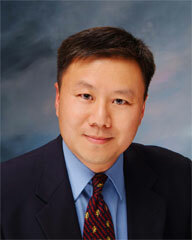 Dr. Andy C. Chiou, a native of Peoria, Illinois is the director of the vascular and endovascular team. He has privileges and performs surgery and procedures at all three Peoria hospitals. He received his medical degree and a Master’s of Public Health in Health Care Administration from Boston University. He completed his general residency at The New York Hospital-Cornell Medical Center in New York City. He also completed a fellowship in vascular and endovascular surgery at Northwestern University in Chicago. Dr. Chiou was a Lieutenant Colonel in the U.S. Air Force, serving as Chief of Vascular Surgery for the USAF Medical Center in San Antonio, Texas. He has published extensively and presented his work nationally and internationally. He has obtained advanced training in endovascular techniques and is a member of the Society for Vascular Surgery and the Society of Interventional Radiology. Dr. Chiou is board certified by the American Board of Surgery in general surgery and vascular surgery. He is an Assistant Professor of Clinical Surgery and Radiology at the University Of Illinois College Of Medicine at Peoria (UICOMP). He serves as the Director of Endovascular Surgery and Director of Surgical Research for the Department of Surgery. He has special interests in the treatment of abdominal aortic aneurysm, carotid disease, vein problems, peripheral vascular disease and wound care. Dr. Chiou is involved in many research projects that bring the latest and most innovative techniques for vascular care to patients in Central Illinois. Recently, Dr. Chiou helped develop and establish the OSF Wound Healing and Hyperbaric Center and serves as Medical Director of the Center. This new Center focuses on individual patient needs and care plans, using the knowledge and experience of experts from many different fields and specialties. He and his team are available for new patient appointments, consultations and to answer any questions you may have about veins, vascular or wound related problems. 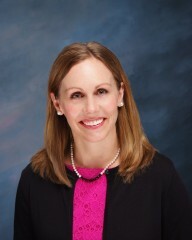 Jessica L. Secor, M.D., F.A.C.S. Dr. Secor is a vascular surgeon with the Peoria Surgical Group/Peoria Vein Center. Dr. Secor is originally an Ohio native. She earned her undergraduate degree in biomedical engineering at Case Western Reserve University. Prior to medical school, she worked at The Cleveland Clinic in medical device research and supported clinical trials. She then went on to earn her doctorate of medicine (M.D.) at Wright State University where she was also inducted into the Alpha Omega Alpha (AOA) honor medical society. She completed her surgical internship and residency in vascular surgery at the University of Wisconsin in Madison. Dr. Secor is trained in all aspects of vascular care, from traditional open surgical techniques to the latest in minimally invasive and endovascular procedures. She is board certified in vascular surgery by the American Board of Surgery and is Associate Medical Director for the IAC accredited vascular laboratory Advanced Mobile Diagnostics. She is a member of multiple national societies including the Society for Vascular Surgery, Society for Vascular Ultrasound, and the American College of Surgeons. Dr. Secor and her team are welcoming new patients in need of vascular evaluation and treatment. 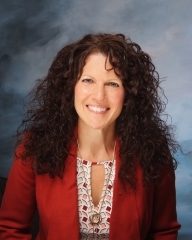 Michelle Regehr has been a board certified acute care nurse practitioner for over 13 years. She enjoys her current position at the Peoria Vein Center because of the rewarding ability to provide individualized care and help patients improve their quality of life. 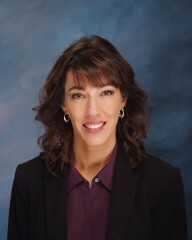 Michelle obtained her undergraduate degree from Illinois Wesleyan University in 1995 and completed her graduate program in 2004 with a master’s degree in nursing from the University of Illinois at Chicago, Peoria Regional Program. 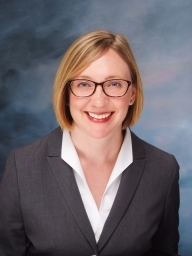 Her advanced-practice nursing career began in Interventional Radiology at Methodist, where she worked for five years before joining the Peoria Vein Center/Peoria Surgical Group’s endovascular and vascular surgery service in 2008. She also served as the APN for the OSF Wound Healing and Hyperbaric Center, managing complex chronic wounds for over five years. Currently, Michelle sees patients for a variety of vascular and venous diseases and performs laser and sclerotherapy for spider veins. Michelle Heal is a nurse practitioner at Peoria Surgical Group/Peoria Vein Center. She received her Bachelor of Science in Nursing from Saint Francis College of Nursing in Peoria, Illinois in 1995. She has worked as a nurse in a variety of settings that range from general surgical/medical to Intensive Care and as an Adult Crisis Nurse at OSF Saint Francis Medical Center. She returned to graduate school to become an advanced practice nurse and graduated from Saint Francis College of Nursing in Peoria, Illinois, where she was awarded the Sister M. Ludgera Memorial Award. Michelle is board-certified as a Family Nurse Practitioner. While employed at OSF Saint Francis Medical Center she was the leader of the Rapid Response Team and was the co-investigator of a research study. She went on to publish her research findings in the Computers Informatics Nursing Journal in 2016. She joined Peoria Surgical Group in August 2016. She recently attended a conference in Chicago, IL and received special training in spider vein treatment. Kendra Wendling is a registered nurse at the Peoria Vein Center. She earned her RN-BSN degree from St. Francis Medical Center College of Nursing in Peoria, Illinois. Kendra is an 11-year veteran of the healthcare field, and has presented on healthcare-related topics at national seminars. Prior to nursing, she spent several years as a dental hygienist in the Peoria area. Kendra currently resides in Dunlap with her husband Andy and their two children.